We looked at the top 1 Makeup Brushes and dug through the reviews from 6 of the most popular review sites including BestReviews, Influenster, Beauty Blog Studio, Makeup Analysis and more. Through this analysis, we've determined the best Makeup Brush you should buy. In our analysis of 31 expert reviews, the BS-Mall BS-MALL Makeup Brushes placed 5th when we looked at the top 8 products in the category. For the full ranking, see below. Extremely soft make up brushes that stand out for their thick, easy to grip handles. 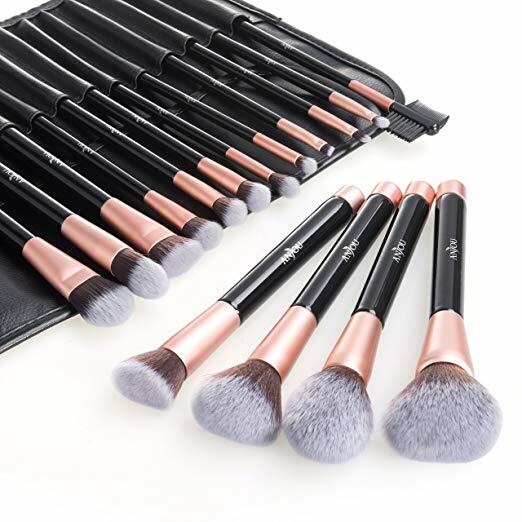 While most other makeup brushes are labeled by number or letter, each brush in this set is individually labeled with its intended use, which makes learning to use them especially easy. These brushes are extremely soft and dense and applying product with these seems like a dream. The brushes are also a very good size for portability and the box that it comes in with is quite a nifty size that fits into a bag really easily. We noticed that this makeup brush set had a slight smell of chemicals. The first thing I noticed when I unwrapped these brushes was the terrible smell of the pouch. Brand new and high quality.100% Money Back Guarantee if you are not satisfied. Silky Soft.Makes Applying Makeup a Luxurious Experience. Bold handle for easy use.Highest quality material, high density bristle, high quality Synthetic fiber hair , Does Not SHED!!! Soft and silky to touch,the brushes are dense and shaped well.Worth the price. BS-MALL(TM) Premium Synthetic Kabuki Makeup Brush Set-Amazing Quality!